Lt. Dan Oliver, an American soldier in Korea, agrees to deliver a jade dragon statuette to a curio shop in Los Angeles. Soon after his arrival, he is murdered. Phil Ramsey and Ginny O'Donnell trace the murder to the shop of Professor Kim Ho. 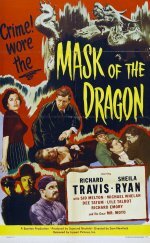 Ramsey receives a package mailed to him by Oliver from Honolulu that contains the jade dragon, and takes it to the curio shop to force a showdown with Kim Ho. He is attacked by Ho's hoods and is about to be killed when Ginny arrives with Police Lt. McLaughton and the police.